Picture this – a solo attorney dealing with transactional legal matters pertaining to specific practice areas. As a lawyer working in a competitive business market, there is the need to be your best to earn new clients—while keeping the ones you have happy. But, when dealing with numerous clients at a time, each with their own paperwork, negotiations, escrow accounts, and billing records to keep straight, a progressive lawyer needs a practice management system that helps keep track of every detail without slowing them down. 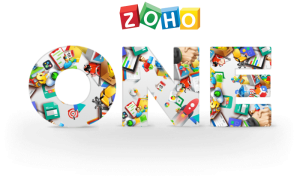 One such application is Zoho ONE – a practice and business management suite of apps that allow legal professions to be more efficient and effective in their practice, saving time and allowing them to focus on what they do best by serving clients better. With an efficient system in place, you can onboard and bring in clients faster—and not worry about making sure each case information is up to date, it’s all taken care of for you as the case progresses. Not having to do a bunch of repetitive tasks is a huge timesaver. So set up a series of efficient workflows to reduce this time drain on your resources. With Zoho CRM along with Zoho Books as the central hubs for storing all of the case/matter, contact, and billing information, you’re able to connect your practice management software to other services—either directly or through integration with other Zoho related apps. When a client comes in, you can onboard them by capturing the relevant information in a form and setting up a profile/matter in Zoho CRM. All related documents and agreements are signed and stored in a document management area. Then you can create and send the client a retainer invoice via email from Zoho Books. Embedded in the email is a link that lets them pay instantly online via credit card or another payment gateway service. Once they’ve paid, all of that information gets exported into a new project matter that gets created automatically in Zoho Books. Once you’ve rendered your services, either fixed fee or time based, you can now create an invoice with any related expenses incurred by you to be reimbursed by the client. Once the bill has been generated, you can invoice the client or apply retainer funds against the invoice payment. At any time, you know exactly what’s going on, and can refer to a checklist of tasks you create for each specific client. 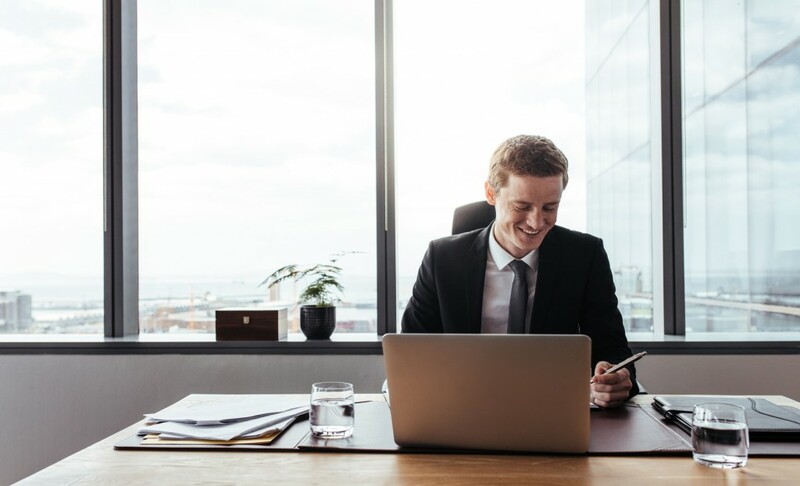 To save time on client communications, and to make yourself more available to clients, you can use Cliq for instant chat, Zoho Connect or a Client Portal to ensure that they have on-demand access, at any time, to all files and information you’ve shared with them. When dealing with trust account money, it is very important to ensure that it is being utilized appropriately and funds transactions are properly tracked. Using Zoho Books to reconcile all of your bank accounts, especially the trust bank account, you can have a level of comfort and peace of mind that there are no misappropriation of funds. One of the things attorneys panic about most are escrow accounts. With the Zoho practice management system, you know at any given time where every case is at. If you’re closing numerous deals at a time, you can go to the Billing page in Zoho Books and see that someone hasn’t paid you when due. You can immediately look into what’s happening with the case. The system helps you keep on top of things, even though there are so many things going on at one time. Even simple time savings can be huge. Instead of writing a bill, saving it, emailing, and then making sure it’s received, you just quickly create a bill in Zoho Books, send it out, and it’s done. Quite possibly saving you 5 or 10 minutes, but when you do that for 20 clients a month or more over 12 months a year, the time savings can be significant. The Zoho ONE platform can be a big part of how you plan out the future of your firm with 40+ apps available to put to use whenever appropriate. Use the dashboard in Zoho Books to see snapshots of what you’ve brought in that month and that year. Look at the numbers based on practice areas, how many times you’ve represented a specific client, and then you can project what the next month’s, or the next year’s, numbers are going to look like. Zoho ONE for Small Law Firms works well and it’s simple, once properly set up. It works with everything integrated with streamlined workflows, and it’s got a great look and user-friendly feel to it all. Saving time and avoiding stressful disorganized situations is its own reward. The bottom line is, you get more work done, you can get more personal time for you and your family, or maybe it’s just making sure you get out of the office at a reasonable time each day for that work/life balance. Finally, of course time savings matter (after all, time is money). But sometimes it’s important to make things simpler—just for the sake of making life simpler so you can focus on what you do best.